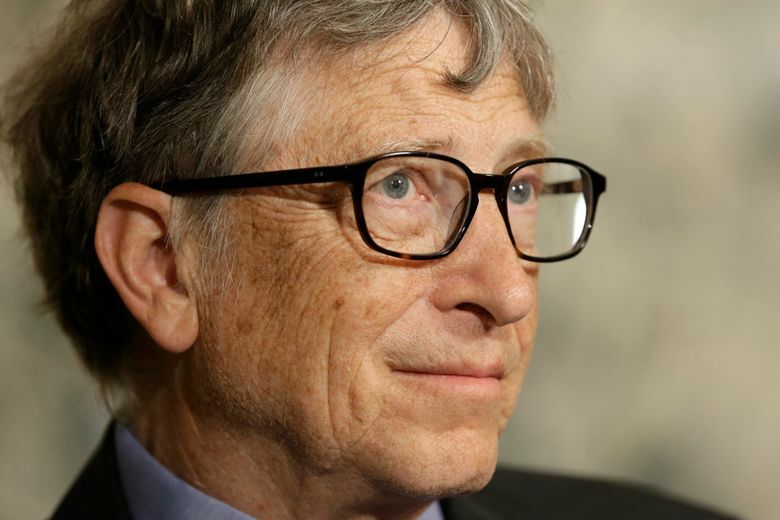 Bill Gates again tops Forbes list as richest person in U.S.
Tech leaders Bill Gates and Mark Zuckerberg made it into the top 5 on a list of the richest people in each state. Microsoft co-founder Bill Gates has once again been named the richest person in Washington state, according to an annual list from Forbes. The tech leader and investor has a net worth of $76 billion, Forbes said. Gates has been named the world’s richest person for 16 out of the last 21 years on another Forbes list that chronicles wealth globally. Gates took the No. 1 spot across all states on Wednesday’s list, and is joined on the list by fellow tech entrepreneur Mark Zuckerberg, CEO of Facebook, who made the list as California’s richest person for the first time this year. Zuckerberg, who is worth $51.6 billion, bumped off Oracle founder Larry Ellison and his $49.5 billion to claim the top spot in California, and No. 3 overall. The list includes only the richest person in each of the 50 states. Also a first-timer to the list: Michael Bloomberg, now the richest person in New York and No. 4 on the list, as David Koch’s fortune takes a hit from declining oil prices. Charles Koch ranked No. 5 on the list, and his $42.8 billion net worth means he stayed in the top spot in Kansas. Warren Buffett, in Nebraska, took the No. 2 spot with a net worth of $67.9 billion. Forbes list includes 54 people because four states had ties, with a joint fortune totaling $682 billion. The average worth of an individual is $12.6 billion. The majority made their money as business leaders.